Jumana Wali, 20, has been shooting for the past five years. 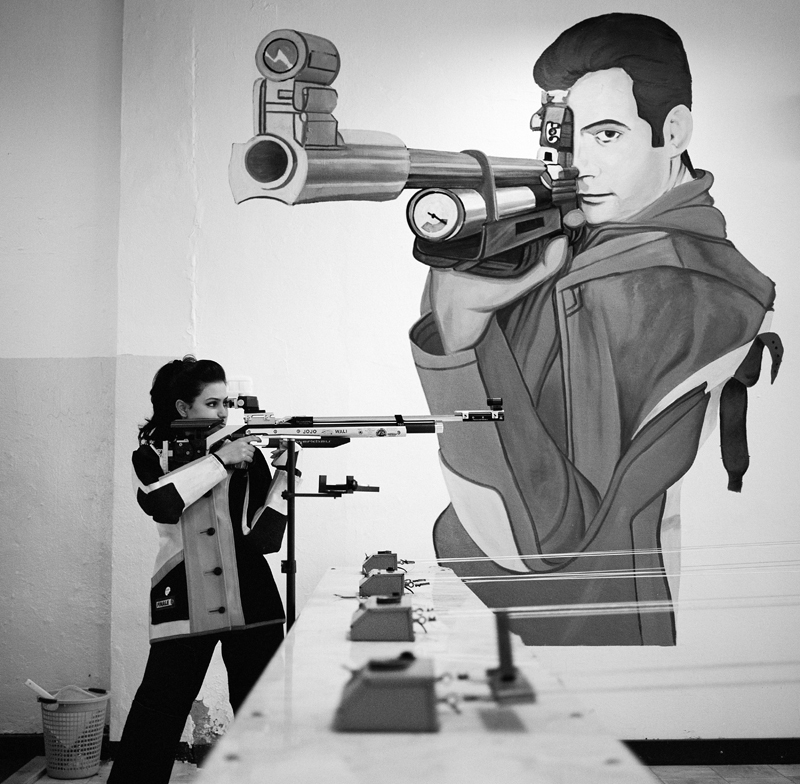 Her mother, Amal Taher Arab, 51 and her older sister Areej Ibrahim Wali, 24 are the three best female rifle shooters in Libya. Her mother says, "My husband taught me when we got married. When I first learned, I thought it was something fantastic. I used to teach school and be a housewife, doing this sport is something good for me. Jumana's mother has the best shooting score in Libya out of all the women. Jumana's father created the center in which they train, setting up targets and painting the walls with murals. In 2010 the three women received silver in Algeria, shooting as a team. Jumana hopes to qualify for the Olympics in London.